The ones that hit directly on your trigger button and cause complete chaos at the family reunion, or the cozy time around the fire to be not so cozy. As adults we have high expectations. We have had years to decide what we feel is important, how we think people, especially children, should behave, and how things should turn out. When our children challenge us with their big emotions, disguise their basic needs with annoying behaviors, and look to us to help them relieve the stress built up in their bodies, there is not much energy left for ourselves. This is the time of year where we are meant to do less, not more. A time to take a look at the past year of our lives, the habits and patterns that we have created, and ask ourselves if they are serving us any longer. You’ve probably heard a thousand times how great it would be if children came with a manual. But because they don’t, most of us go moment to moment in survival mode. We repeat what our parents did to raise us or desperately try to do the opposite in hopes that our children will feel differently than we did. When the focus is constantly on the external behavior of the child and the questions resting on how to shift those behaviors into something more pleasurable for adults to experience- Well, this, is blocking the deeply connected relationship that is available between parent and child. Even when they are melting down in the car before even going into the family reunion-there is an opportunity for connection here. Which is what this episode is about. A few years ago I was lying on the beach, 7 months pregnant and fantasizing about how family life would be. Rubbing my beautiful round belly, feeling my daughter kicking inside, and smiling from ear to ear about the bliss I would experience as a mom. I remember having this epic moment of deep gratitude for the fact that my education had prepared me for this moment long before I became pregnant. Thank God, I thought, that I am an early childhood teacher. My Waldorf training had taught me how to build rhythm and routine, how to swaddle and keep her body warm, what her nutritional needs were, sleep training techniques, and so on. What no one had ever prepared me for were the deep emotional triggers that came charging forth when I least expected them. My tiny infant would begin to cry. I would use all my strategies and she was still crying. Ok, I’d go through basic needs. Even with all of my training, I had no clue how to handle my daughter’s emotions. I felt like every time she cried I was failing. Like there was some deep need that I was too stupid to figure out. I would run to my extensive collection of parenting books and read and read. Only to find contradicting information on how to handle the behavior. But this never made sense to me. My daughter is not a pet. I do not want to train her to respond to my request with a specific behavior all the time. What would that mean when she was older? What would happen if we fall into conflict in her teenage years and she refused to follow my order? Who’s order will she follow? What I want is to develop a deep relationship with her. One where she can come to me with anything that is going on and not feel fear that I will judge or punish her. That is my long term goal. So during that first year of her life, I began digging deeper into early childhood development. I had also stopped working at the school and opened up my own home based preschool to stay home with her. This very intimate setting gave me the opportunity to deeply observe and connect with the 2-4 year olds I was caring for as well. I asked myself some big questions. How is it that all of us, adults, children and babies, can get all of our needs met together? How can I meet them where they are, truly respecting them and still move us through our day? It is so tempting as a parent to try and mold our children into who we think they should be, when really our duty is to hold a space for them to unveil the potential and purpose they are coming with. As deep as that may sound, there were 3 things that helped me tremendously as a parent and teacher towards that goal. We could talk about these for weeks. But I want to share a bite sized piece right now. The first thing was researching brain development. What is really going on for a child in the first few years? I found that children under the age of 5 have very little access to their prefrontal cortex of higher thinking. This is what allows us to self regulate, remember consequences, have empathy for other people, to consider someone else’s needs. They live primarily in the emotional brain, the midbrain. So if we want our children to cooperate, we have to connect with them emotionally. If they are having a tantrum or whining about something they want, logical debate will get you nowhere. Most of the time when our children are struggling, we feel it is our duty to rescue them, fix the problem, explain something, teach them a lesson, etc, when really what they need is for us to simply listen. This is hard for many reasons. A lot of adults don’t even know how to listen to each other compassionately. Compassionate listening has 4 parts. Listen intently to what the other person is saying. This means allowing our children to finish their whiney request, even if we know where they are going and know that we are not giving in. They are still a human being who is deserving of respect for their voice. And you will find that when you offer your full attention and allow them to be heard, they will calm down a bit. It also means to listen without judgement. When your child takes a marker to the wall, throws food, or says something rude and you feel they should know better, judgement can slip in fast. But here we have to return to our understanding of brain development and know that only through repetition, imitation, and loving guidance will they be able to take a higher path next time. Refrain from comparing. Your child is unique. It can be tempting to compare them to other children. You wonder, why can’t they behave like their sister. Or shouldn’t my child understand this concept by now? We have to let go and truly meet our child where they are in the moment. Refrain from interrupting. When your child is crying, whining, or repeating for the third time something you have already said no to, it can be difficult to listen. 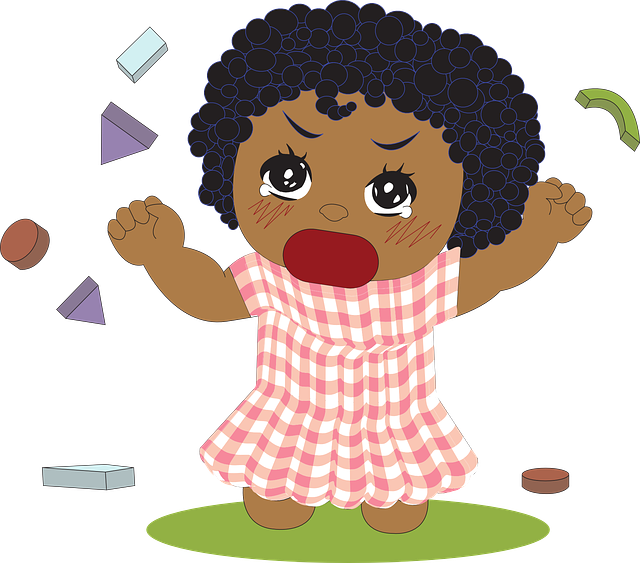 We feel triggered by their emotions and want to put a stop to it. My personal reaction when I am not present is “Enough. That is enough.” But the key word I used here is presence. To say that parents need a lot of patience and love for their children is an understatement. But there is something you can offer your child that is so powerful it can change your relationship forever. And this is true not only with your child, but with anyone in your life that you care about. By definition, empathy is the capacity to understand or feel what another person is experiencing from within the other person’s frame of reference. It is the capacity to place yourself in another person’s shoes. This is not something we are born with. If your parents or caregivers didn’t offer it to you, then you must develop this skill on your own through practice. And just so you know, that means most of us. We are so affected by our past, we are so affected by how we were parented. We need to understand, that our experiences are what create our neural pathways. Neural pathways are how we develop thought patterns, feel joy, excitement, or any emotion and physical response. During this time as parents our neural pathways are being triggered. All emotional reactivity stands from your unfinished business from your past. One of the most important things we can do as parents is to separate our emotions from our child’s emotions. Testing your boundaries is the job of a young child. They need to know exactly how far they are allowed to go. They need clarification on how the world works and where there power lies. They need to know that no matter how big their feelings are or how hard they push, that they cannot knock us over. If we seem threatened by them or they have the power to make us angry, then they are in charge and that is a very scary place for a child. 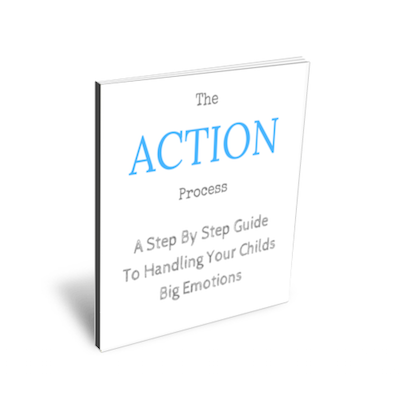 I want to leave you today with a step by step process that you can use in any situation with your child to transition out of conflict. This will help you to build emotional intelligence, trust, and a lifelong connection. This can be used for any age child, adjusting for what they need developmentally. I have used the acronym ACTION because this process helps you move from reaction to conscious action. Thank you Christina! I found your podcast during a very important and very much needed stage of my parenting. Your interviews and advice had helped us tones. I noticed most of them are from 2015 to 2016. I was wondering if you are still doing this wonderful job. Where could I find your most updated guides? Thanks for this perfectly timed refresher about how to manage big feelings. Exactly what I needed to hear today!